Have you ever had one of those weeks where every time you open a metaphorical cupboard, everything inside it falls down on your head? Usually at the same time you had a million other things to clean up too? Yeah. I had one of them last week. 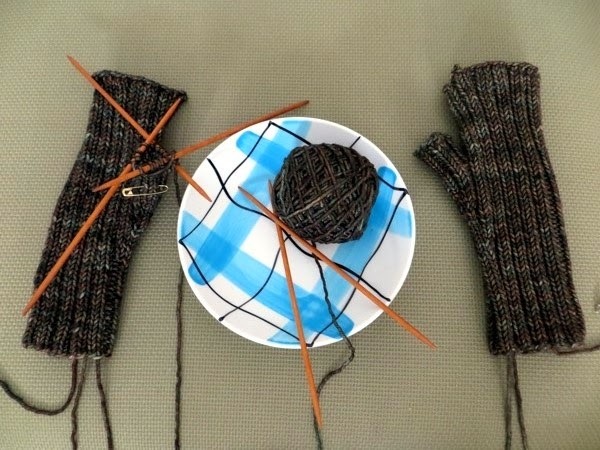 What saved me: knitting handwarmers for my friend Richard. I don't know whether you remember the cowl I knit Richard last fall, and I think I didn't mention he'd asked for handwarmers if I ever had the time. 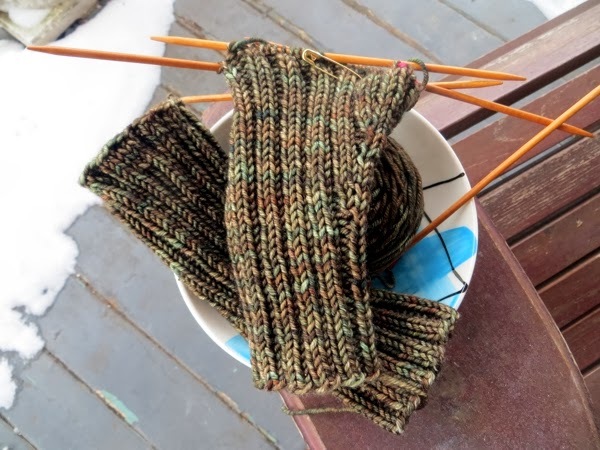 In fact I have a lot of time for Richard, and it's been so cold lately I knew he would really get some use out of a pair even around the house, so it was bugging me that I hadn't cast them on yet. 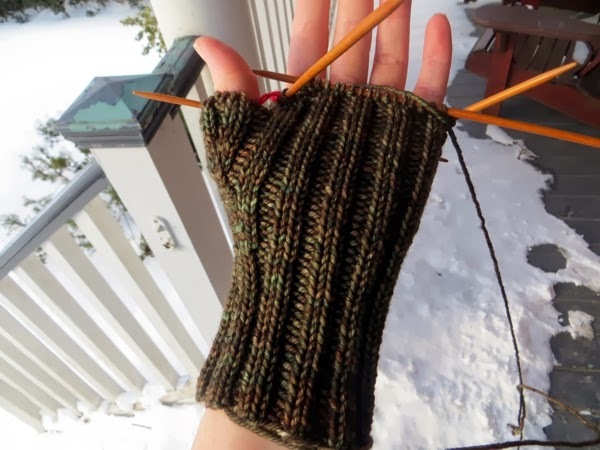 At least I knew which pattern I wanted to use - Ferryboat Mitts from Churchmouse Yarns and Teas. 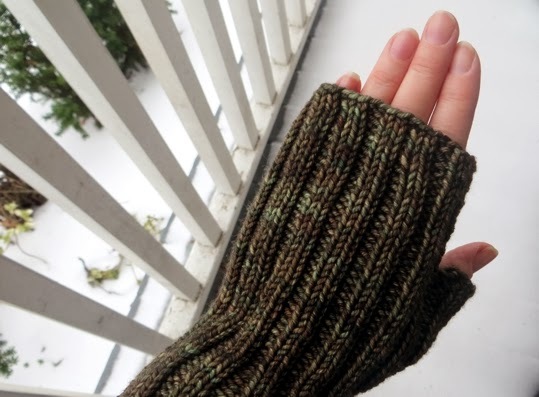 Churchmouse patterns are always so soothing to knit, and these mitts are incredibly guy-friendly. It's a pattern I plan to knit for a few people this year. Best of all though was that the pattern calls for the same weight of yarn as I'd used for that cowl - the gorgeous Viola merino cashmere blend. 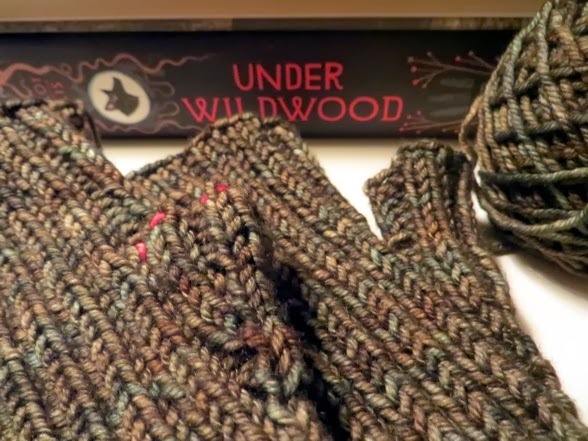 Richard will not care about the matchy but I absolutely love knitting with this yarn. Perfect yarn, perfect needles, perfect pattern - it's easy to pretend you're relaxing in an oasis with that combo, instead of fighting it out in winding maze of trenches. Plus, at the end of it: really nice gloves! So thank you Richard for inspiring me to set this pattern up at such a timely moment. 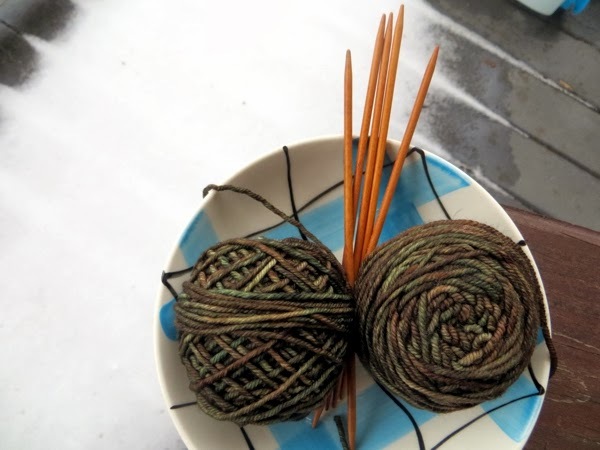 And isn't it lucky there's enough yarn left for me to make another pair for myself? 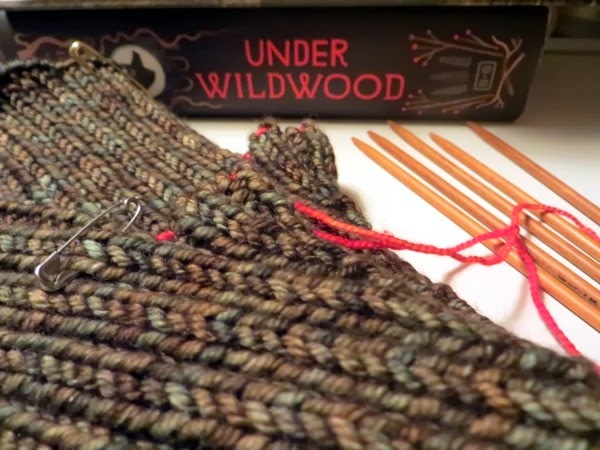 Hope you have good knits handy for bad weeks too. See you tomorrow!